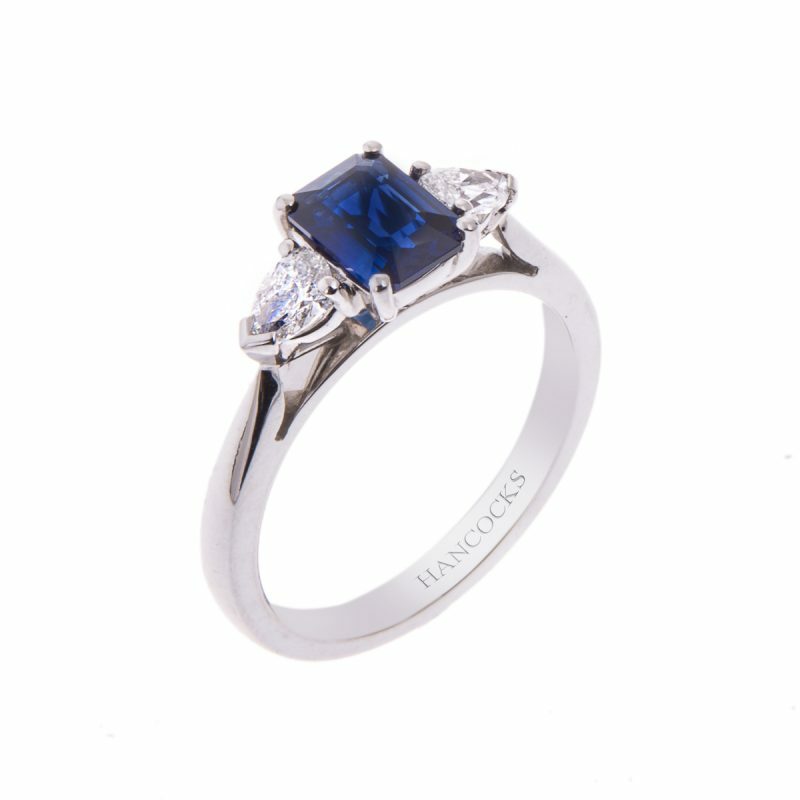 Colour is one of the most important influences when valuing a sapphire. 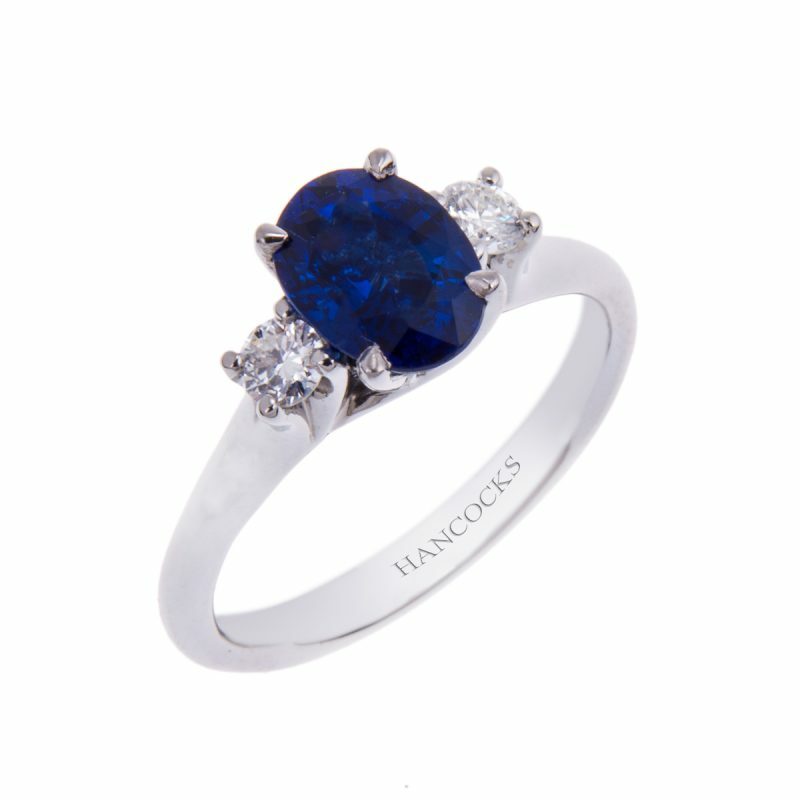 This oval cut sapphire has a beautiful vivid colour and a fantastic brightness. 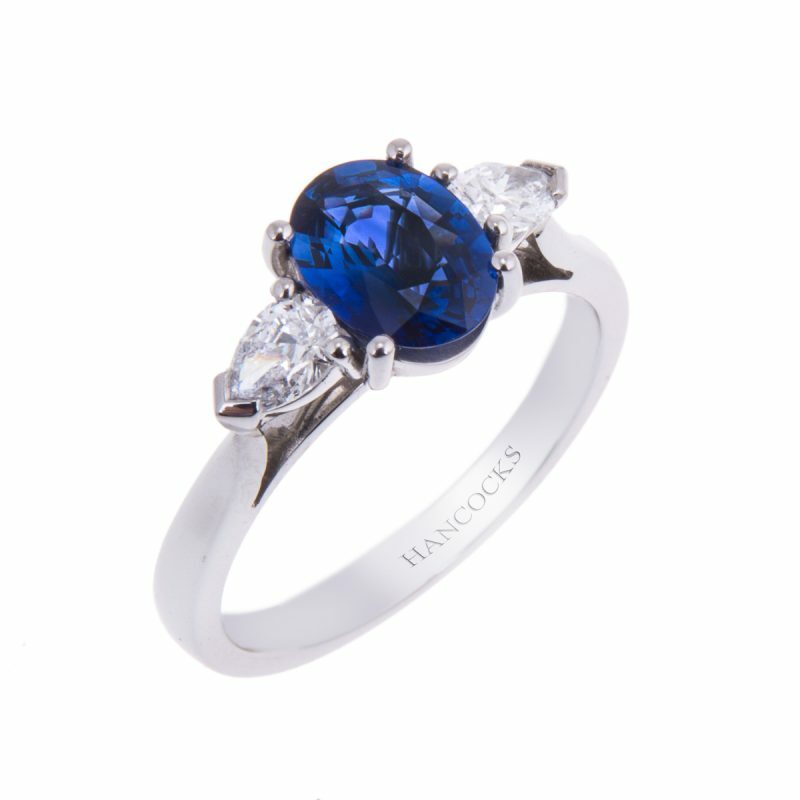 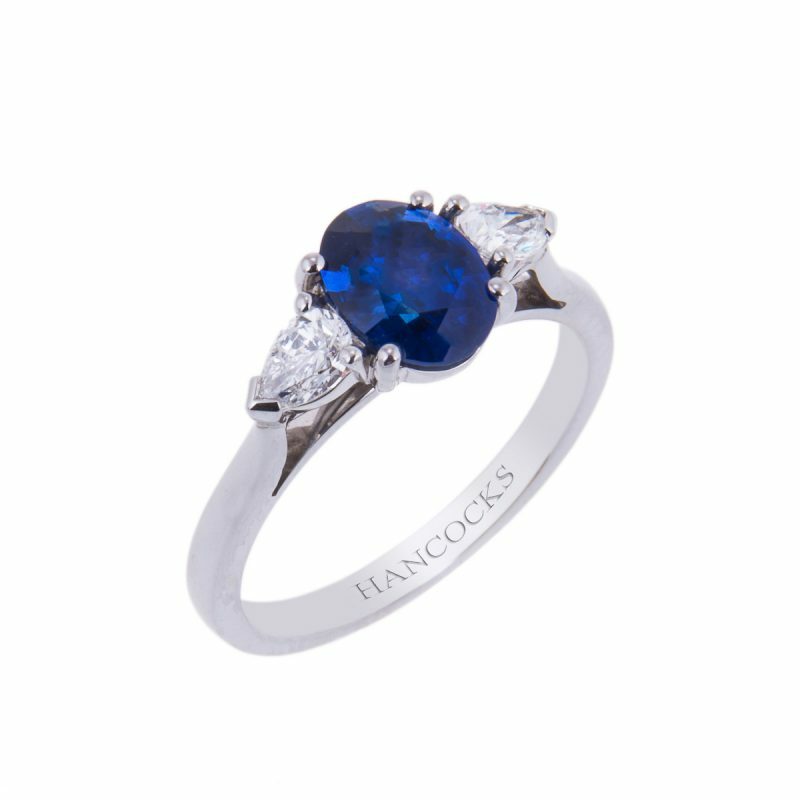 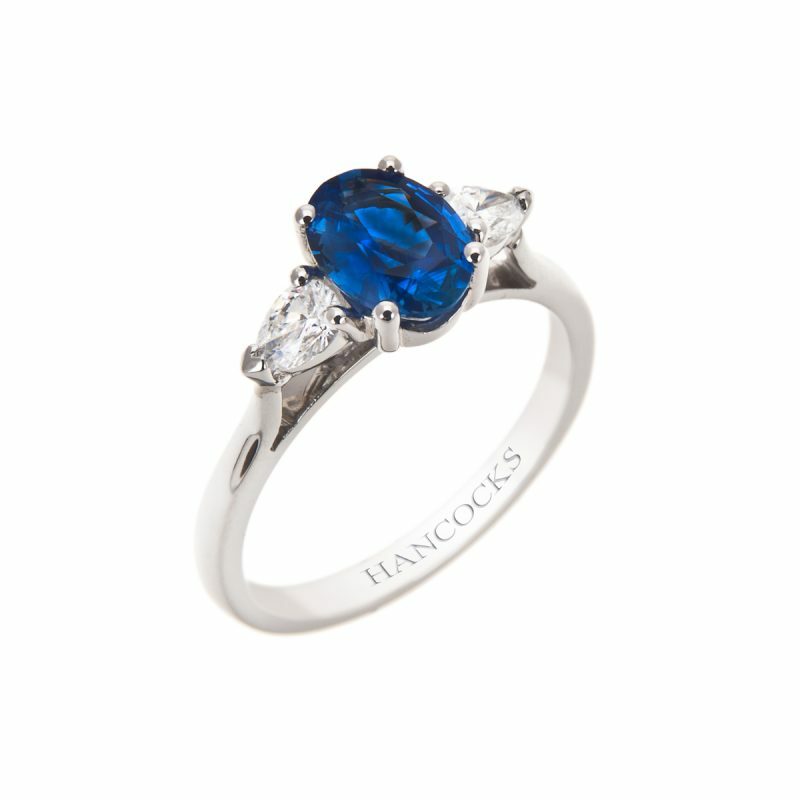 Hancocks have chosen to mount this exceptional sapphire in a simple yet classic, platinum claw setting with 2 elegant pear cut diamonds to create a truly impressive ring.